AUTOBAHN have created an ambitious album that comfortably sits beside the darker parts of Brian Jonestown Massacre with moments of purposeful hesitation that underpin the self-doubt and uncertainties inherent in understanding the moral crossing. 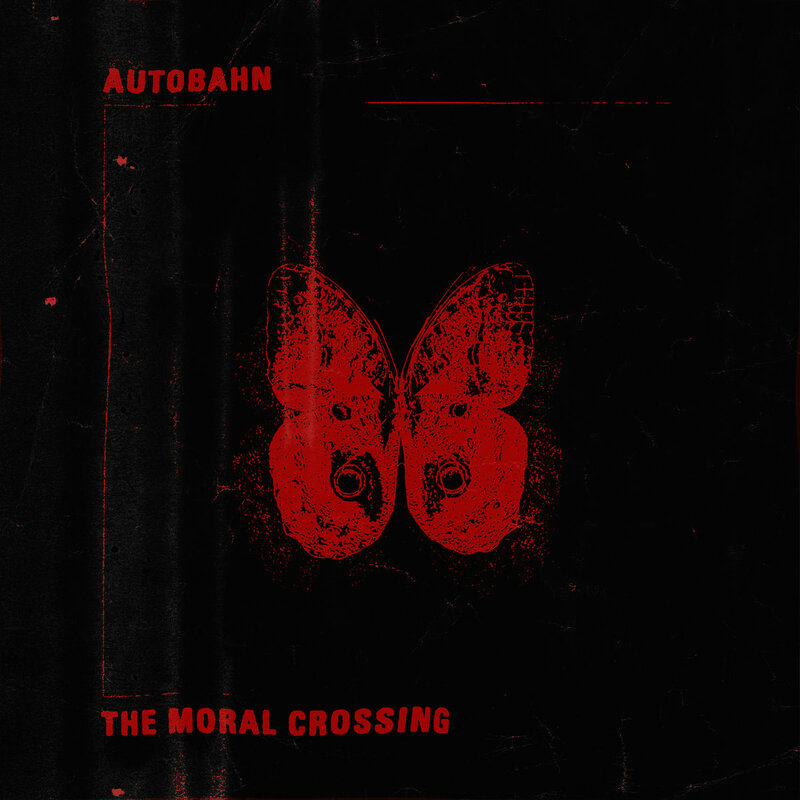 Leeds based post-rockers AUTOBAHN bring the industrial clatter and howl of their homestead into focus on ‘The Moral Crossing’, which developed organically while they built their own studio space under a disused bridge in Holbeck. Lead singer and principal songwriter, Craig Johnson taught himself how to record as the new studio and album were constructed, allowing the band to create the sound of melancholic, industrial romanticism they were after. Johnson, along with guitarists Michael Pedel and Gavin Cobb, bassist Daniel Sleight, and drummer Liam Hilton create a sound akin to progressive rockers Secret Machines with a northern England twang that is part Joy Division-like melodic angst undercut with At The Drive In. The album opener ‘Prologue’ slowly builds into ‘Obituary’, which is fast paced and reminiscent of The Longcut. The track ‘Futures’ then changes gears altogether with a bouncy synth loop more akin to the bands name sake featuring lyrics echoed throughout the song that can only be heard in whispers, letting the instruments do the talking. Hilton’s big, distorted drums are something to admire on most of the tunes here and are put to good use on songs featuring violins and cellos, such as ‘Torment’ which starts with slow, mournful strings and is suddenly cut through by the pulsing drums as they take control along with a women speaking French, which all coalesces into something beautiful and haunting. ‘The Moral Crossing’ is almost biblical at times, both lyrically and with track titles such as ‘Execution/Rise’, which features a lovely build into a roaring finish, ‘Creation’ and ‘Fallen’. This effect is given more depth by the inclusion of gospel singers from the bands local church on both ‘Low/High’ and ‘Creation’. AUTOBAHN have created an ambitious album that comfortably sits beside the darker moments of Brian Jonestown Massacre with moments of purposeful hesitation that underpin the self-doubt and uncertainties inherent in understanding the moral crossing.